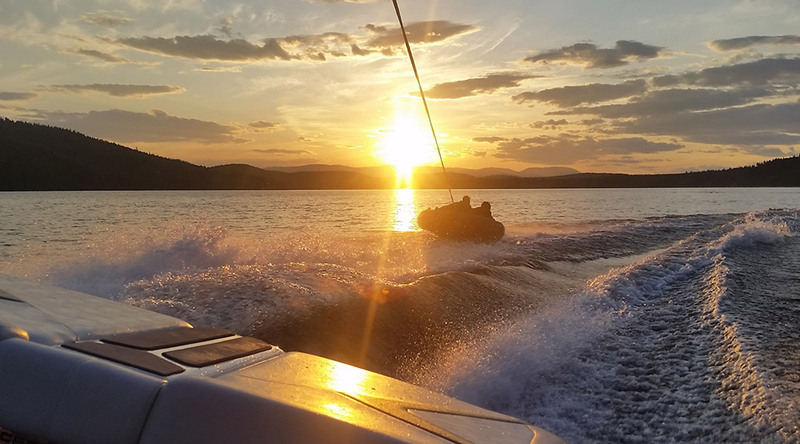 The Iron Horse Marina offers kayaking, wakesurfing, wakeboarding, waterskiing, and tubing lessons on our championship surf boat. The lessons on our surf boat are carefree, as we provide all of the equipment you will need plus a driver and an instructor. We have two 25-foot pontoon-style sightseeing boats that are great for catered cocktail or dinner parties and a wonderful way to get a large group together to enjoy a Montana sunset on the lake. Those of you looking for some exercise can utilize one of our stand-up paddle boards or kayaks. Our highly trained staff is here to provide you with an unforgettable Whitefish Lake experience. We are always happy to answer any questions and to go the extra mile for you. We look forward to seeing you down by the water. To make a reservation, contact the Marina at 406-863-3083. Catered pontoon cruises with a driver are available. Contact the Marina for details. To make a reservation, contact the Marina at 406.863.3083. All marina cancellations must be made 24 hours in advance or your member account will be charged in full. To cancel a reservation, please contact the Marina at 406-863-3083. The Iron Horse Marina is located at The Lodge on Whitefish Lake. We maintain a marina lounge for our members on the northwest corner of the hotel building.